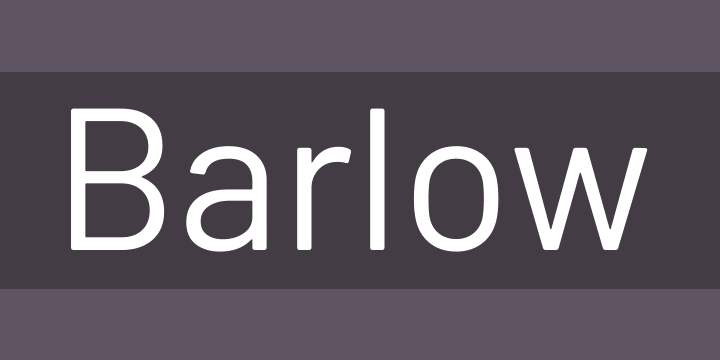 Barlow is a slightly rounded, low-contrast, grotesk type family designed by Jeremy Tribby (https://tribby.com). Drawing from the visual style of the California public, Barlow shares qualities with the state’s car plates, highway signs, busses, and trains. The family includes 54 manually-hinted styles in three widths and nine weights, as well as obliques, suitable for large and small digital and print use. Customizable weights and widths are available via the included variable font (GX) file. Barlow is named after internet pioneer, EFF co-founder, songwriter, and activist John Perry Barlow (https://en.wikipedia.org/wiki/John_Perry_Barlow), in tribute to his lasting impact on the information superhighway (https://www.eff.org/cyberspace-independence). If you’d like to make a donation for this open source, libre font, please consider directing it to the John Perry Barlow Wellness Trust (https://www.johnperrybarlow-wellnesstrust.com/).